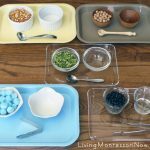 If you’ve been following my blog, you know that I’ve loved Montessori Services materials for years … as a Montessori teacher/school owner and as a homeschooler. 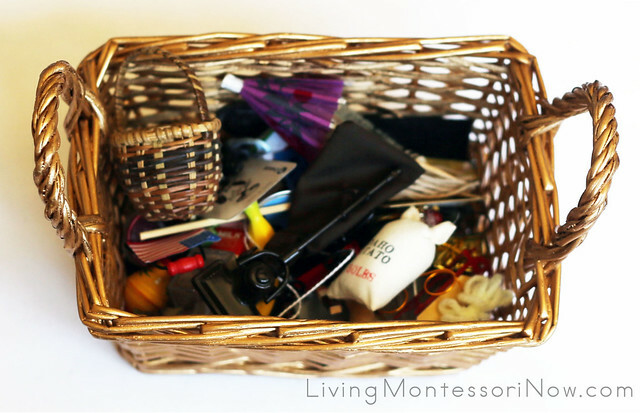 Today, I’m sharing ideas of activities you can easily prepare using Montessori Services language objects. 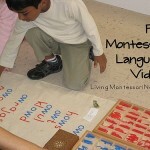 Disclosure: I was given Montessori Services Language Object Starter Set to review for this post. I was never required to write a positive review for Montessori Services, and any opinions expressed are my own. This post contains affiliate links (at no cost to you). 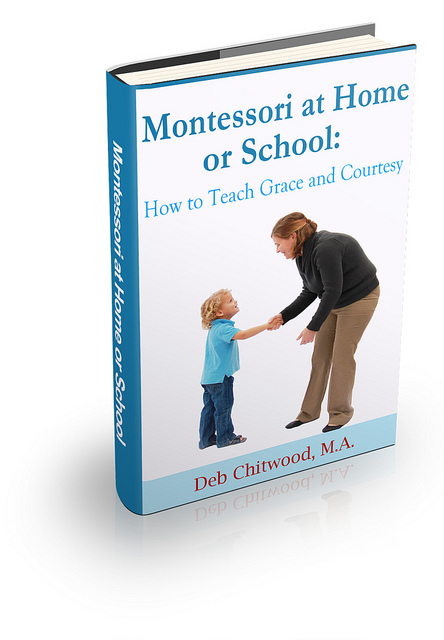 Since I started blogging, I’ve hosted a number of Montessori Services reviews and giveaways. I’ve never been disappointed with the quality of Montessori Services materials. 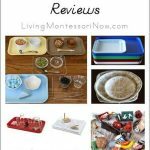 If you read my review posts, you can find out more about some of the Montessori Services materials that are wonderful for schools and homeschools. Parents using Montessori principles at home will also find much to offer through Montessori Services or its partner site, For Small Hands, which specializes in child-size tools and materials for families. Words to use in sound awareness games, especially beginning sounds. There is at least one object/word in this set whose beginning sound represents every letter of the alphabet, except X (which never makes its sound at the beginning of a word). Montessori Services sells durable, waterproof labels to go with the language object starter set. You’ll find a link there for a free downloadable PDF with all the language labels, too. The objects are very inviting, both to children and adults. I had a lot of fun preparing a few activities that could be used with the objects. I showed my 9-month old granddaughter some of the objects. She was absolutely fascinated by them, but she’s simply too young for small objects unless she has a safe way to explore them. I prepared an ocean sensory bag for her using the crab, fish, octopus, and starfish from the language objects. I used a quart-size freezer bag, clear hair gel from the Dollar Tree (and added a bit of blue food coloring), and colored duct tape to seal the bag on all sides. There was a place for a label on the front, so I just added the word “ocean,” which could be helpful for a family with readers along with with a baby or toddler. 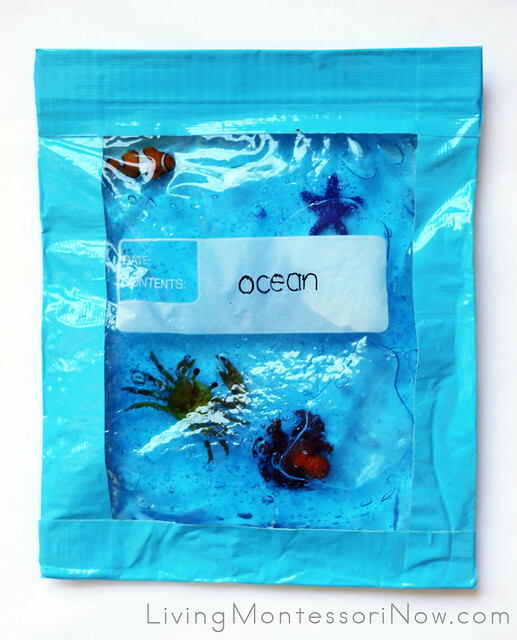 You also could introduce the bag to a baby or toddler by pointing to the word and saying: “That word says ‘ocean.’ The types of animals in this bag live in the ocean.” Then point to and name the animals in the bag. 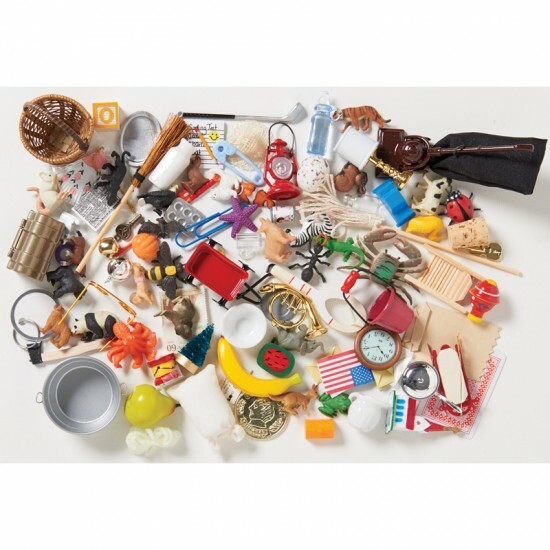 Other safe ways for babies and toddlers to explore the objects would be through discovery bottles or DIY mini discovery boxes. This is a fun activity for reinforcing color names with young children. Older children who want to use the activity can still benefit by focusing on primary and secondary colors if you use a color wheel. 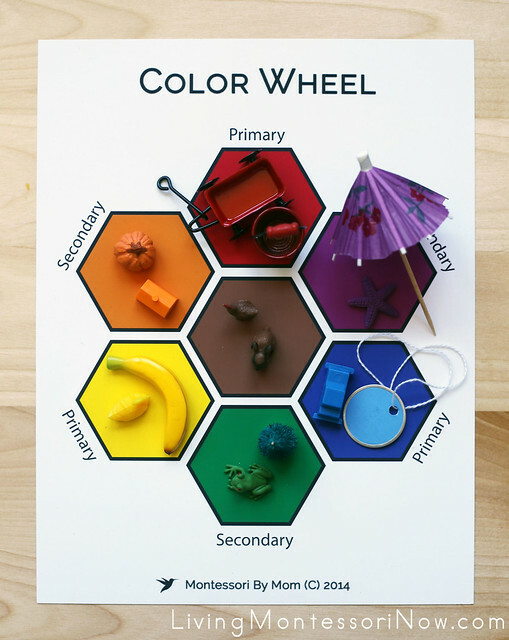 I used the free color wheel printable from Montessori By Mom along with two objects of each color from the language object starter set. The activity is on a Montessori Services large plastic tray. This works well as a way to introduce objects and sandpaper letters. 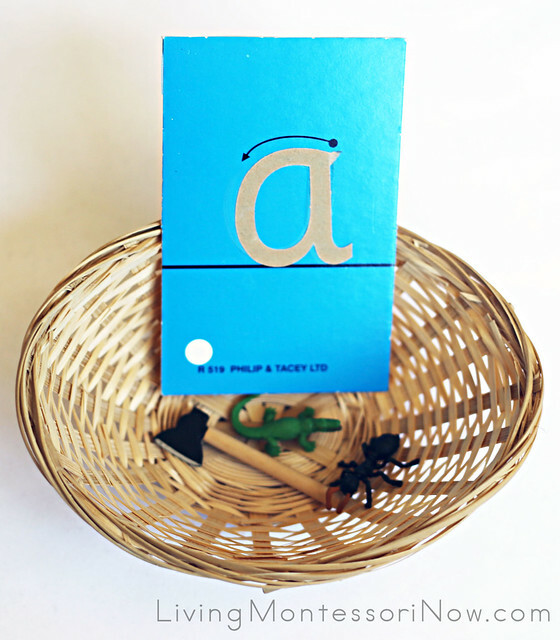 I used an inexpensive version of sandpaper letter (this particular version is no longer available) along with small objects in a Montessori Services basket. You can find more ideas in my “Inexpensive and DIY Sandpaper Letters” post. 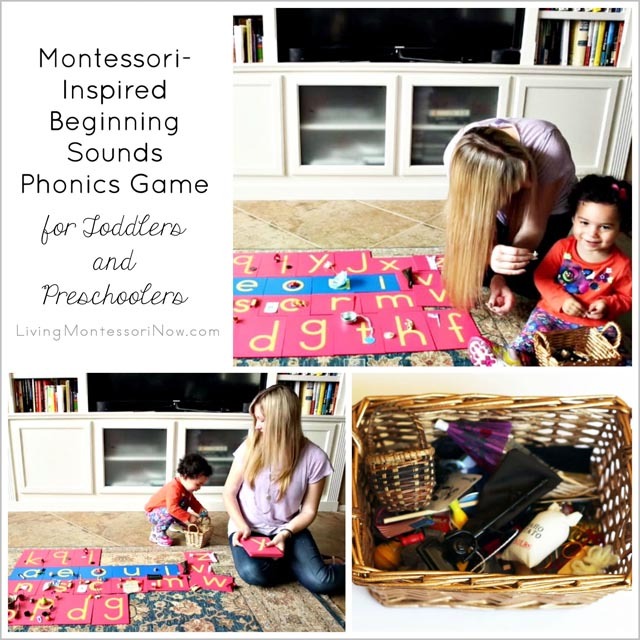 See “Beginning Sounds Phonics Game for Toddlers and Preschoolers” post and video. 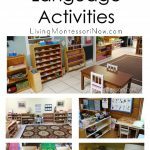 This is a traditional Montessori activity with numerous extensions for a variety of levels. You don’t need to purchase a large movable alphabet for home use. I have the Alison’s Montessori small movable alphabet, which is lovely. 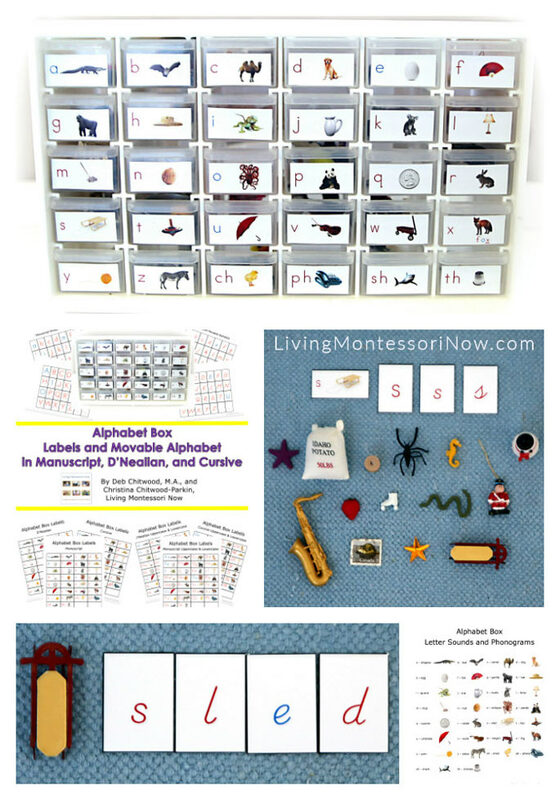 Montessori Services has a number of options for movable alphabets you can easily assemble. 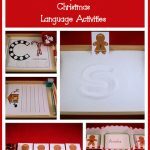 You can find many more ideas for movable alphabets and ways to present them in my “Inexpensive and DIY Movable Alphabet” post. For the layout, I used a Montessori Services hemmed work rug. This is another activity that can be used at a variety of levels. 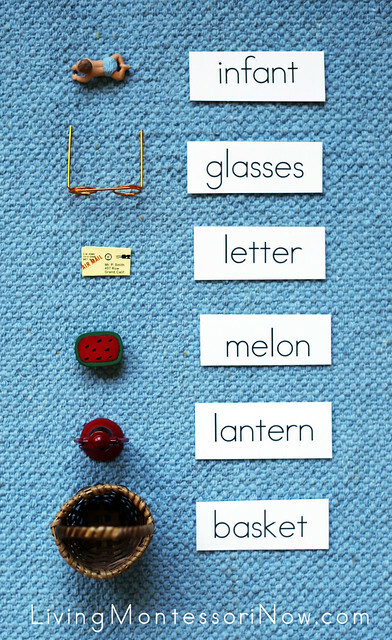 The photo shows one version of Presentation 2 of “The Phonetic Object Box” from Montessori Primary Guide. For a list of my previous Montessori Services review posts, see my Montessori Services Reviews. 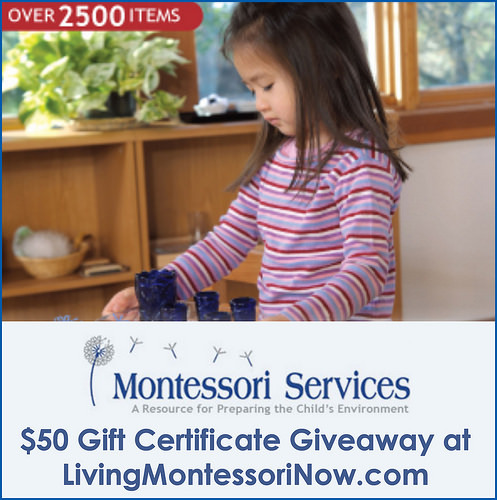 If you win the giveaway, you could use the $50 gift certificate to choose from among the items I’ve reviewed or one or more of the 2500 items Montessori Services offers! If you’re wondering where to store language objects, check out my DIY alphabet box multi-level printables and resources. Montessori Services $50 Gift Certificate Giveaway! The giveaway is now closed. See the announcement of the winner just below the Rafflecopter form. 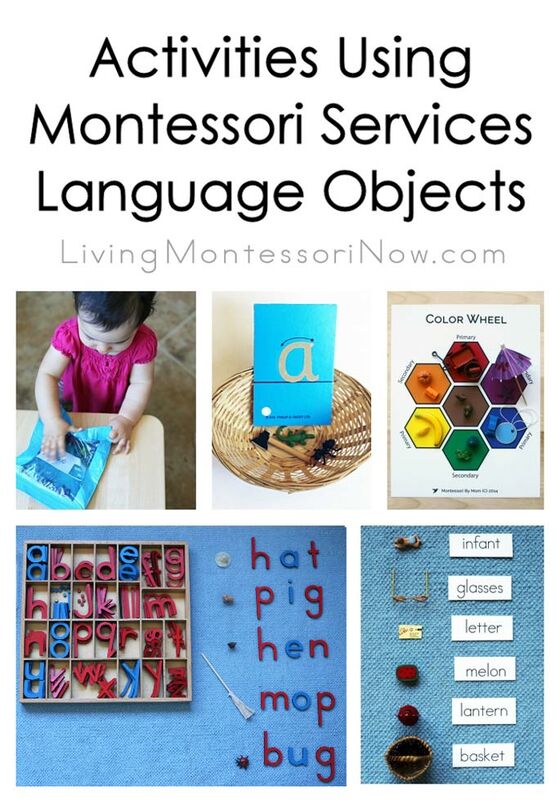 Be sure to check out this post for links to reviews of Montessori Services materials and activities using Montessori Services language objects! I’m excited to host a back-to-school giveaway of a $50 gift certificate from Montessori Services, one of my very favorite Montessori suppliers for home or school! If you’re from the U.S. or Canada, this is a great time to have fun checking out the amazing online catalog at Montessori Services. What You Will Win: 1 lucky winner in the U.S. or Canada will win a $50 Montessori Services Gift Certificate!!! It’s Tuesday morning, August 19. I really appreciated all your comments and the 1,613 entries! A winner has been selected using Random.org through Rafflecopter! The winner of the $50 Montessori Services Gift Certificate is Amy W of No Greater Honor! CONGRATULATIONS, Amy!!! A HUGE THANK YOU to Montessori Services for sponsoring this great back-to-school giveaway – and thank you to everyone who entered! May be linked to Afterschool Express, Thoughtful Spot, Tuesday Tots, The Mommy Club Resources and Solutions, Mom’s Library, The Weekly Kid’s Co-op, Homeschool Link-up, Learn & Link, TGIF Linky Party, Preschool Corner, Ultimate Homeschool Pinterest Party, Sharing Saturday, Saturday Show & Tell, Share It Saturday, Show-and-Share Saturday, The Sunday Showcase, Link & Learn, Kids Learning Printables Linky Party. This would be a wonderful addition for my developing at home classroom! 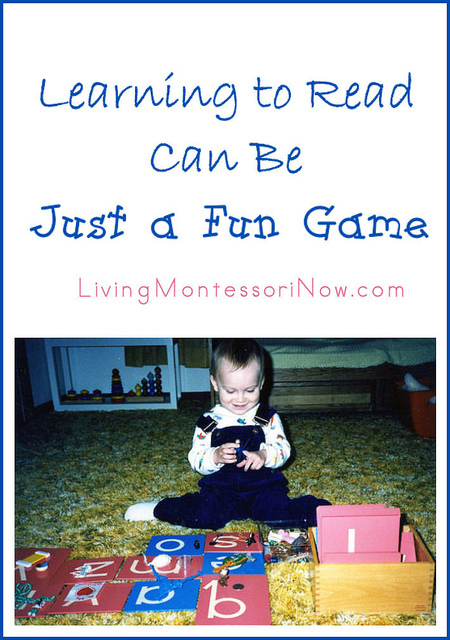 Using the Montessori method has helped my autistic son so much. I’m glad for opportunities like this. I would love to win this certificate to purchase things to use with my two year old daughter. I have dreamed of homeschooling her (I was once a special education teacher) and this would help me greatly. This is a great opportunity to access quality materials, especially during such difficult economic times. 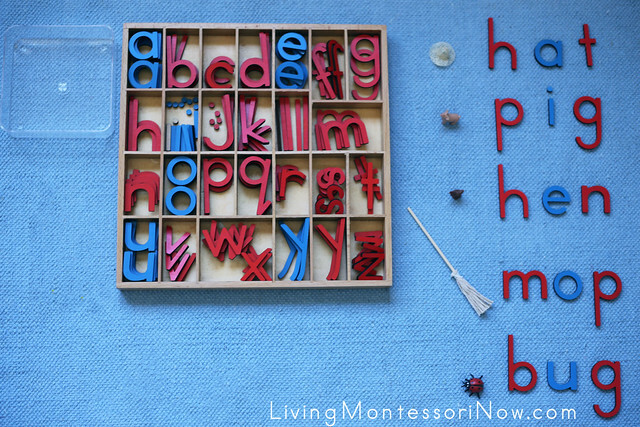 After exploring the Montessori Services website, I found many wonderful tools to use with my homeschooling adventure. I loved the Serving an Apple Activity kit. My daughter loves to pretend she is cooking or helping around the house. Also, this would be a great activity to incorporate into the many “Fall” themed activities in our near future. 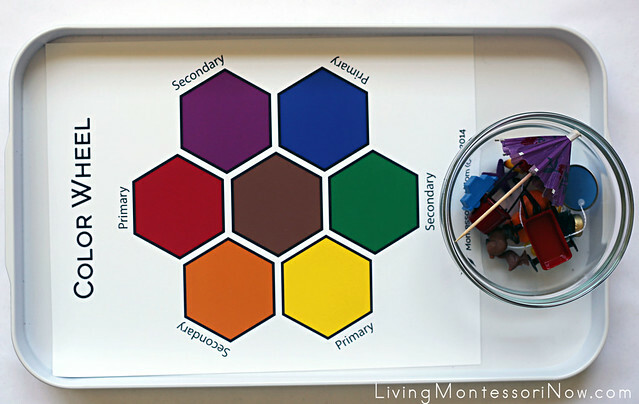 We’re just starting out with Montessori and this would really help us with our homeschool setup. Thank you for the opportunity. I would love to get more activities for our Homeschool co-op pre-school and Catechesis of the Good Shepherd rooms! I love the sewing activities. The sewing block was a huge hit for my daughter. I am hoping to get a pattern play set next. thanks for the awesome post.. I like all of the great materials offered under Science! I think the Planet Frog – Live Frog Habitat would be great to use as a teaching tool. Our children would love it! Hi, I couldn’t resist commenting. Very well written for Montessori Services. Thanks for sharing this article. Seems like a great package to use to help with learning. Montessori Services seem to put a great package together and it looks like a lot of fun (which will keep the child who is learning interest).